Inspired by Jason Boche’s article: http://www.boche.net/blog/index.php/2009/08/18/hidden-virtual-cpu-limit-restriction-in-esx-3-5/ and also William Lam’s Perl Script (http://communities.vmware.com/docs/DOC-10556). I decided to re-create this in PowerCLI. If you haven’t seen William’s scripts, I strongly suggest you check out the Perl Sample code where he stores them here: http://communities.vmware.com/community/developer/codecentral/vsphere_perl, he has been coding mad recently and turning out some really good stuff. Would it be possible to get a count of vCPUs per Resource Pool? Really very useful Alan. Many Thanks. How can I get the data to be output to a text file or html? I adjusted this old code here: http://www.virtu-al.net/2011/06/09/number-of-physical-virtual-cpus-per-host-cluster/ that should help. Coudln’t get this to work – is there an update to this script or how should I run this script? I apologize am recently new to the powerCLI and the community. 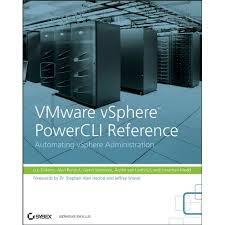 I just got VCP and definitly need to work on my CLI skills with ESXi coming. Much help appreciated. … right after the line that displays the limit, then you can raise the limits on all of your hosts. Good idea, easily added to this script, I will update it. I am going to include some memory and cpu stats in the daily report but contension is already covered by %RDY, after all you could have hundreds of under utilised vms on a host and all be fine. How would we add the number of physical CPU cores per host and per cluster? The ratio of vCPUs to pCPUs describes CPU oversubscription and is useful when troubleshooting some performance issues… Might even be a useful addition to the daily report! 🙂 Thanks!